Fossil mollusc. Fossilised shell of a Requienia ammonia rudist mollusc. 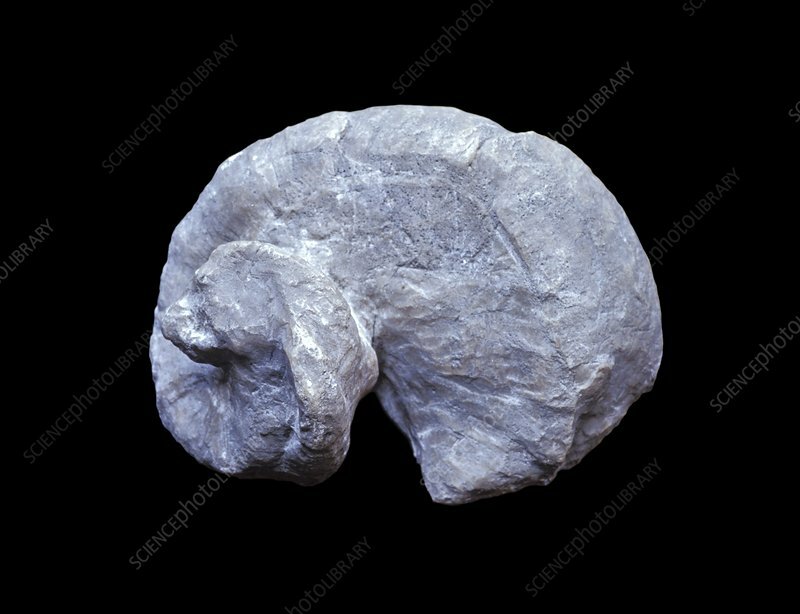 Rudists were a group of prehistoric bivalve molluscs that had unusually-shaped shells. They first appeared during the Jurassic period (around 100 to 145 million years ago), and became so diverse during the Cretaceous period (around 145-85 million years ago) that they were major reef-building organisms.